PLEASE NOTE: All of the field trips on Tuesday the 16th of August (the day after the meeting) are now FULL. Sorry for the disappointment! If you are still interested in going on one of the field trips, last minute spaces may become available. Check the announcement board at the registration desk for information or ask Samantha Franks. We hope you will be able to join us for one of these field trips on Tuesday August 16th after the conclusion of the meeting. 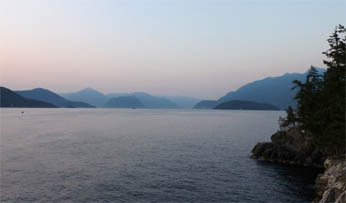 Vancouver abounds with natural beauty and wildlife! You can add one or more of these field trips to your registration form. The field trips will be organized and lead by WildResearch, a local, non-profit organization. WildResearch was formed by a group of biologists looking to solve conservation issues in unique and innovative ways. WildResearch is looking forward to running interesting and informative field trips for participants. Over 320 species have been found at Iona Island, including many species of shorebirds. Our trip will start at the Iona Island Sewage Lagoons. Shorebirds congregate here at high tide, which will occur at 07:30. 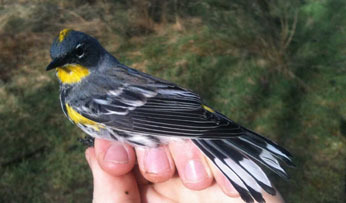 Next, we will visit the Iona Island Bird Observatory to see songbirds in the hand and learn more about songbird migration in the Vancouver area. We will conclude the tour with a walk around the woodlot and wetlands to look for migrating songbirds, marshbirds and waterfowl. 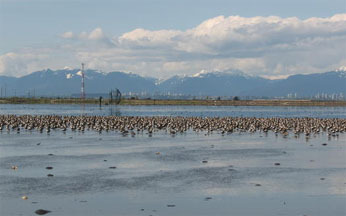 The trip will begin at the George C Reifel Migratory Bird Sanctuary and the Alaksen National Wildlife Area on Westham Island at the mouth of the Fraser River. Nearly 600 hectares of managed wetlands, natural marshes, woodland, and farmland provide habitat for over 280 species of birds, including nesting Sandhill Cranes. We will continue on to the mudflats of Roberts Bank and Brunswick Point where large numbers of shorebirds will be pushed up close to shore with the evening's rising tide.